Located in a small town in the Blue Ridge Mountains of Virginia, this home for a retired couple is a modern adaptation of the farmhouse. 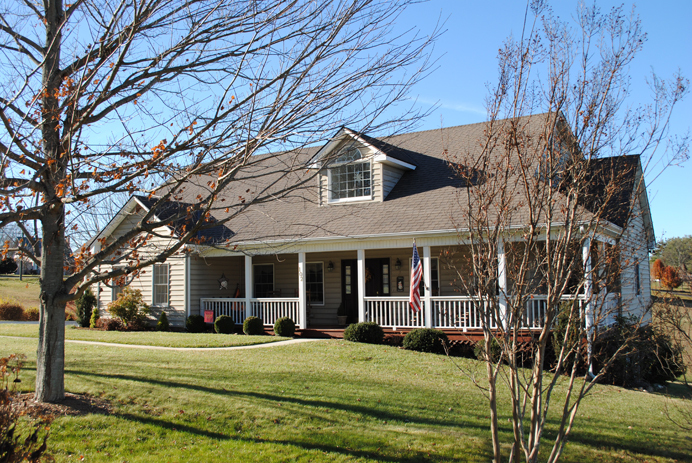 The home includes a master suite on the main level with 3 additional bedrooms upstairs. The exterior porches provide relief from the summer heat and spectacular views of the mountains beyond.